I recently had the distinct honour and pleasure of being invited to teach at the world’s first Barefoot Training Summit, held in Delhi, India, by the fantastic Dr Emily Splichal of Evidence Based Fitness Academy, alongside some truly brilliant movement and biomechanics specialists. The summit was a huge success and has already lead to a follow-up event happening in Colorado in May of this year, which I have no doubt will be of similar quality. Having had a day or two to reflect on the event my thoughts came to settle on the singular realisation that the amazing cutting-edge research into the largely untapped power of barefoot training perfectly supports and reflects our understanding in parkour that natural, holistic movement training is the most effective way to develop our physical and mental potential as human beings. Ironically, although moving barefoot is the oldest and most natural form of movement for our species this field of scientific study is incredibly new and we have trailblazers like Dr. Splichal to thank for shining a spotlight on something which feels so intuitively correct to everyone who experiences it. 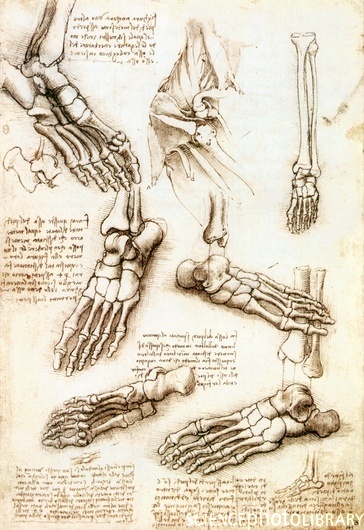 After all, we evolved for hundreds of thousands of years without footwear of any kind and as a result our feet are some of the most sophisticated shock absorption structures in nature, as Da Vinci pointed out some time ago. Yet we insist on casing them in solid, foamy prisons which are meant to improve their function and most likely do the exact opposite. Think about this: we’re bipedal creatures and our feet are the structures that connect us to the ground, which is where we move from. Gravity pulls us down into that surface every second of our lives, and it’s our feet that bear the brunt of that eternal force. We move from the ground up, recruiting momentum and energy from the ground and through our feet – this is why a boxer’s cross starts from the rear foot’s big toe. Yet for a long time we’ve effectively ignored the training of our feet and simply assumed that they’ll be up to the task while we concentrate fastidiously on our cores, our glutes, our hamstrings, our upper body muscles and everything above the ankle. That’s kinda weird. Those small nerves on the sole of the foot, as opposed to the large nerves we also have in the foot and other parts of the body, are sensitive to stimuli including texture, vibration, pressure and skin stretch and can transmit signals faster to the CNS, enabling faster response times. Incredibly, 80% of these receptors are sensitive to vibration which means it is primarily vibration that our bodies respond to in order to understand how to absorb and spread force around the body. Think about how important that is, and then think about how a thick foam pad on the base of the foot effectively neutralises those nerves’ function. Your ‘high-tech’ running shoe is actually negating the truly high-tech capacity of the foot to sense and absorb impact. A full 70% of the body’s terminal nerve endings are found in the hands and feet (hands are a whole other article!) so they are the primary source of tactile stimuli for our nervous systems. The bare foot can happily withstand forces equalling nine times your own bodyweight and can generate eight times your bodyweight in elastic forces. It’s supple, stable, mobile, hugely responsive and incredibly powerful. But here’s the rub: if – IF – it’s allowed to develop properly. And spending most of our lives shod, as many do, is a surefire way to prevent that development. So what are the benefits of barefoot training and how can we access them effectively in our training and our lives? I consider myself fortunate to have studied the martial arts for as long as I can remember, which meant every day of my childhood I was spending two to three hours in dynamic barefoot training of one sort or another. However, reclaiming the feet’s natural abilities can be done at any stage of life. Fortunately, like much of the rest of the human body, the feet are fairly malleable and adaptive and can be retrained, with time and a little attention, to capture their natural, evolutionary power. And for most people, especially in the Western Hemisphere, this does have to be approached as ‘training’, due simply to the fact that being raised almost entirely shod means you can’t simply throw your shoes aside and leap into barefoot marathons or massive running precisions. That’s a one way trip to the foot doctor. No, like a sedentary individual first getting into shape it has to be approached gradually, progressively and with care. Step by step, if you’ll excuse the pun. Ahem. But take this considered approach to introducing barefoot training into your life and you will quickly begin to notice changes and some significant benefits. Foot strength: quite simply, barefoot training will demand more of the foot’s and lower leg’s muscles to activate. These may have been dormant for most of your life but will begin to wake up, firm up and start doing the job they were intended for – to stabilise and strengthen your posture, stance and movement capacity. For example, your calf muscles will lengthen, improving your dorsiflexion and helping you achieve that full squat you’ve always wanted. As your feet and lower legs strength, you’ll significantly reduce your chance of injuries such as ankle sprains, patellar tendinitis, hip pain, etc. Structural realignment: as the feet strengthen and reshape themselves, so this will have a knock on effect in the legs, hips and upper body. The feet are intricately and importantly linked to the stability of our core muscles through an ‘activation cascade’ via muscles, tendons, ligaments and – perhaps most importantly – fascia. If the feet don’t work properly and don’t send the right messages up that chain, the deep core muscles have very little to go on and the results are improper alignment in the knees and hips and a limited stability which is the cause of a great many syndromes including tendinitis, ankle sprains, knee pain and more. By restoring proper health and function to the feet we enable a reordering and stabilising effect on the rest of the body that will improve your posture, your stance, your general movement biomechanics. Impact Absorption: The human foot is one of the best shock absorbers in the natural world. With its vast array of joints, tendons, and nerves the foot is perfectly designed to absorb shock and propulsion and to then throw it back out as part of what is known as the ‘catapult effect’ which is effectively your body’s way of using elasticity in the fascia and connective tissues to amplify the force if can generate. But to do this properly the foot needs to be absorbing shock efficiently, which means it has to be flexing fully, the big toe has to be doing its job, the arch needs to be responsive and so on. Those functions are weakened as a result of decades of wearing shoes which throw off the foot’s natural abilities. Power: have you ever noticed you can jump further with no shoes on? We perhaps rarely do because the landings might dissuade us, but once you recruit the full flexion and biomechanical power of the feet you will be able to express more strength, quicker, than when limiting the flexion and speed of the feet in shoes. Weightlifters use hard-soled shoes for the reason that none of their strength is absorbed into a soft foamy surface as they push, and it’s no different when we jump. Try it. So what are some simple, effective ways to move into barefoot training? Well, the obvious and easy one is (drum roll)… take your shoes off! By this I don’t mean burn your hard-earned running shoes and brogues: we most of us live in an incredibly urban environment which necessitates that we do use footwear at least some of the time for a number of very good reasons. And the fact is it’s fine to wear shoes as long as your feet are healthy, active and getting plenty of naked action as well. But you can begin by not wearing shoes or slippers or even socks in the house, for example. Maybe spend ten minutes a day walking barefoot in the garden or a nearby park to give your feet the all-terrain experience, so they can adapt to uneven surfaces and benefit from all that glorious grass-bladed stimulus. However, it isn’t quite as simple as just removing your shoes after a lifetime of shaping your feet that way. Waking up the connection between your feet and the rest of the body might take a little research and application of some new exercise types. For example, it might help to identify and start utilising some exercises which integrate your feet with your core activation – the pelvic floor, the deep six (lateral rotator) hip muscles, the glutes and the obliques. Dr. Splichal’s new book Barefoot Strong has several of these laid out for you. Second, start activating the feet before you train in your shoes. Think of it as ‘switching on’ the nerve endings, small muscles and joints of the foot before you ask them to take the demands of your dynamic activity, whatever that may be. Take ten minutes at the start of your warm-up to flex the feet, walk barefoot, spread the toes, do the short foot drill (p.20 Barefoot Strong, Dr. E. Splichal), invert and evert the feet and manually mobilise the foot and ankle joints to wake them up. As you feel more comfortable without the sneakers, start trying short sections of your regular training without the shoes on: if you’re a runner, begin with 5 minute barefoot runs on natural surfaces. If you train parkour, practice some small movements and jumps barefoot. If you like quadrupedal movement, do your entire session without shoes and notice the huge difference to your control, balance, agility and softness. Don’t rush into full-fledged barefoot training as that won’t end well, but ease into it gradually and you’ll begin to feel the benefits. Why natural surfaces? Well, remember that 80% of your foot’s receptors are sensitive to vibration and that is how the nervous system knows how to calibrate the impact and shock absorption – so for barefoot movement you want to choose surfaces that actually vibrate. As you do more barefoot training you’ll realise one thing: never again will you want to encase your feet in huge, clunky foam prisons that masquerade as fitness tools. You’ll way to be able to feel the ground all the time, so you’ll shift to wearing more minimalist shoes with thinner soles and less of a drop between heel and forefoot. And you’ll find that you feel less impact, not more. Perhaps more importantly you’ll begin to enjoy and appreciate every single step you take on a walk or a run, which will help to reconnect you with the ground and with your environment. Barefoot training is perhaps intuitive to us as parkour practitioners due to the nature of our discipline being a raw, untamed physicality which reconnects us to our primal heritage. Parkour teaches you that you don’t need fancy, modern equipment or clothing to reveal your natural athletic potential, including footwear. This doesn’t mean you shouldn’t or can’t wear shoes when you move – that’s missing the point: but to harness every ounce of your body’s capabilities, the health and function of the feet need to be given some attention and by doing so you will find that when you put the shoes back on, you move a whole lot better. I’d like to thank my fellow presenters at the first Barefoot Training Summit for the knowledge, passion and insights: Dr Emily Splichal, Dr. Perry Nickelston, Kevin C Moore, Richard Scrivener. Stacey Lei Krauss and David Martinez. And a special mention to my good friend Chris McDougall, author of the bestselling Born to Run which did such a great job of raising awareness for the world of barefoot training. I honestly didn’t know that our feet were some of the best shock absorbers. Honestly, I’d be interested in learning what kinds of techniques are used to train your feet to get them to this point. I imagine it’s not easy, but it could be really useful for athletes. Hi Taylor! Yes, 100% – designed precisely for shock absorption! The simplest technique to train the feet is simply to go barefoot more often. Just walking around the house, and wearing thin-soled shoes at first, before bringing that to your movement practice. Over time the feet will strengthen and adapt. Try it!